I’m often overwhelmed with life (laundry, homeschooling, cooking, planning, and so forth), but I’m also overwhelmed with the responsibility of molding young minds and pointing hearts to the Lord. We read the Bible to them, we help them memorize scripture, we pray, we listen, we try to answer their tough questions, but, somehow, I know it’s not enough. I cannot change attitudes or hearts. I admit that I fret about my role as a mother. If there were a “formula” to raising good kids, I would gladly follow it! But I know there isn’t. Each parent must raise their children according to scripture, but that’s no guarantee. I’ve seen strict, loving parents raise rebellious, hateful children. I’ve seen parents who were lazy and unfaithful to Christ raise hard-working, Christian children. I know Bible college grads who got married only to divorce a few years later, while some secular college grads marry and stay strong in their love for the Lord and each other for a lifetime (my parents fall into this category). So what made the difference? Christ’s habitation of the individual! You can deny the irresistible grace of God, but you can’t resist it. He is in control. Last summer, one of our children got separated from us at a museum. It was an older child, but in those minutes of not knowing just where they were, my mind leapt to a thousand possibilities! Were they lost? Kidnapped? Hurt? As I prayed about it, the Lord gave me peace that they were okay. I could only search and pray. Terry found the child, and they were weeping as they rejoiced at being with us again. They had just gotten lost. The interesting part of this story is that this particular child had had a terrible attitude when we entered the museum. They didn’t want to be there, or be with us, or see what we wanted to see. When they returned with their father after a half-hour of separation, they were suddenly so grateful to be with their family. God had changed this child’s attitude in a way that I never could! This sort of thing doesn’t happen every time one of the children gets a bad attitude, but it doesn’t have to. God can use anything to turn a child’s heart toward Himself. And my prayer is just that – that He will do that which I cannot do. I was a stubborn child, and I know that I caused my parents far more worry than either of my siblings did. But their response was to pray and to let God work in my life. And He did. I see what a wretch I was (and am), and this makes me so very grateful to have been born again! I can identify with the woman in Luke 7:47, about whom Christ said, Wherefore I say unto thee, Her sins, which are many, are forgiven; for she loved much: but to whom little is forgiven, the same loveth little. When I share my fears with my husband, he often wisely reminds me, “Valerie, all you can do is pray. The Lord will do what is best.” What a comfort to rest upon the sovereign God of the ages! I don’t understand why so many people want to deny God His rightful place. They miss so much peace, comfort and joy. I spend too much time worrying, and yes, I know that’s wrong. But it’s a blessing to know that regardless of how much I worry, God rules and reigns and “He hath done all things well” (Mark 7:37). Very good post, enjoyed reading it. I feel exactly the same way. 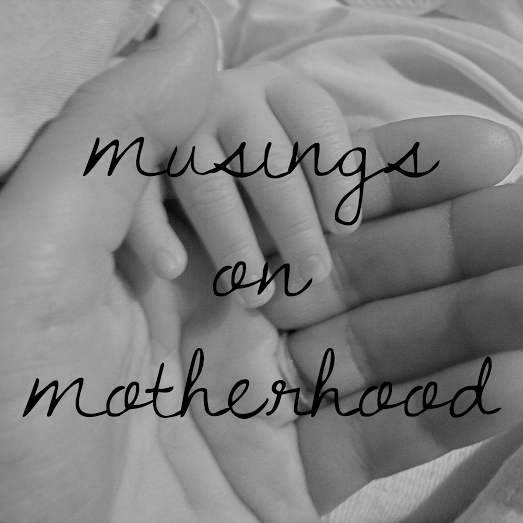 I struggle daily with my thoughts about my parenting and teaching skills, and how there is so much responsibility on me. But, I know that God is ultimately the one in control. I pray a LOT, and just have to let God handle the rest. I agree, Victoria! Thanks for the comment!